Having trouble heating or cooling your Philly row home? We’ve got a solution for you and it doesn’t involve the boxed-in ductwork that comes with traditional heating and cooling systems. From Society Hill to Fairmount Park, we’ve solved hundreds of heating and cooling problems and we can fix yours too! Why Choose Ductless For Your Row Home? Outdoor Condensing Unit: the outdoor condensing unit has a small footprint - about the size of a suitcase. It can be placed in a small alley, rooftop or porch which is perfect for any row house or urban dwelling with little outdoor space. 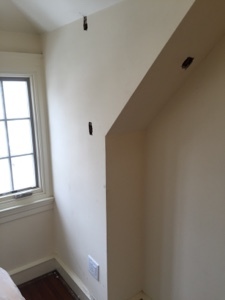 No Ductwork: if you have a small house, you know that space is difficult to come by. Don’t clutter it with bulky ductwork. With a Mitsubishi ductless system, you won’t lose any of the aesthetic value of your home or any precious space. 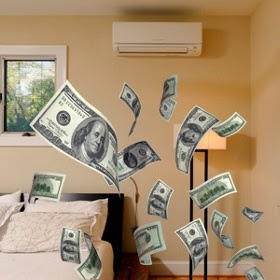 Save Money: put simply, ductless saves you money. It comes with an easy installation process and there’s virtually zero energy lost during operation. If you’re looking for efficiency, this is the way to go! To learn more about the benefits of a ductless heating and cooling system, give the experts at GEN3 Electric a call today! We’re looking forward to hearing from you. 215-512-4102. Concrete ceilings present unique lighting challenges. 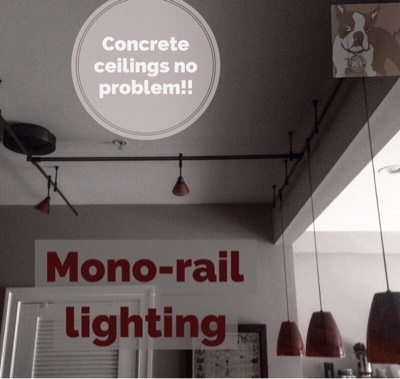 One solution is to run mono rail track lighting. This is a low voltage lighting system with a transformer that is mount it at one point. The rail can then run around the room then spotlights and pendants can be hung off it. Companies like tech lighting also offer speakers that can be power from the monorail. Lighting fixtures in closets I've had a code update in the past 10 years. As homeowners have more consumer goods now than in the past a new problem has occurred. Bear bold lighting fixtures in closets have caused an increase number of closet fires. To respond to this the national electrical code no longer allows these types of pictures in closets. Now that you’ve slowly but surely started transforming the inside of your house into a smart home, it’s time to take the same approach on the outside. The right landscape lighting design can transform any yard and the differences it can make are literally like night and day. This year, the major trend is to go green and with a plethora of energy efficient options on the market, it’s easier than ever. Hidden safety and security lighting is making its away to homes across the country. Safety and security lighting can help prevent falls, ward off criminals and wildlife and create a clear path on walkways and driveways. In the past, this type of lighting has made backyards look like stadiums and walkways look like runways, but concealed fixtures seems to be the solution everyone is looking for. Just because the sun goes down doesn’t mean everybody needs to head indoors. With the right lighting in the right areas, you can keep the party going longer. 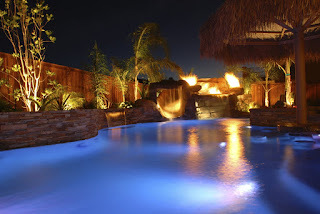 Make sure your sitting area, pool and fire features are well-lit - just keep the noise down so you don’t aggravate your neighbors. 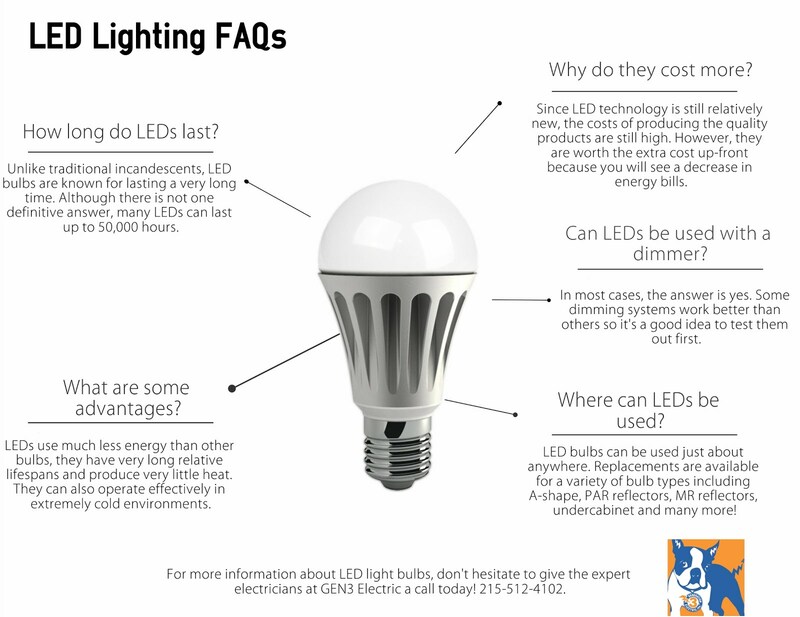 If you’re still using traditional bulbs in your outdoor lights, you’re wasting money and energy. 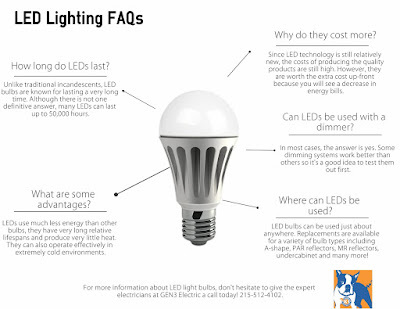 Make the switch to LED bulbs today and start seeing the benefits right away. 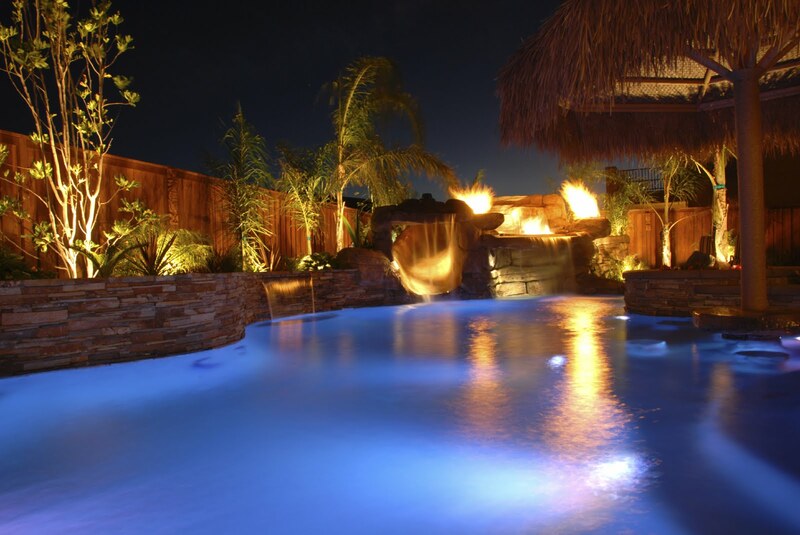 When it comes to landscape lighting in the Philadelphia metro area, GEN3 Electric has you covered. Give us a call today at 215-512-4102 to find out how we can help. Take a second to think about how stuffy and congested your home would feel if exhaust fans were never invented. Although they can be a bit annoying at times, that constant buzzing or humming noise that you wish would just go away, is actually doing you and your home a big favor. There are lots of benefits when it comes to running exhaust fans in your home - especially in those areas that are a bit more moist than others. Ever forget to turn on your bathroom’s exhaust fan before you hopped in the shower? The room fills with such thick humidity that you can barely see. 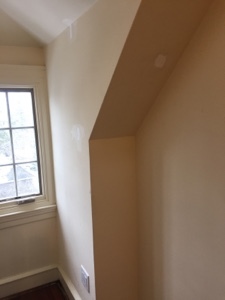 This is not good for your walls and ceiling as warm, humid climates are ideal for mold growth. It’s best to have an exhaust fan installed high up on the wall or ceiling to get rid of steam and moisture as it rises. Have you ever realized how much pollution is released into the air every time you prepare a meal? Think about the steam that comes off of a boiling pot of water or the smoke that fills the air when frying up chicken cutlets or bacon. 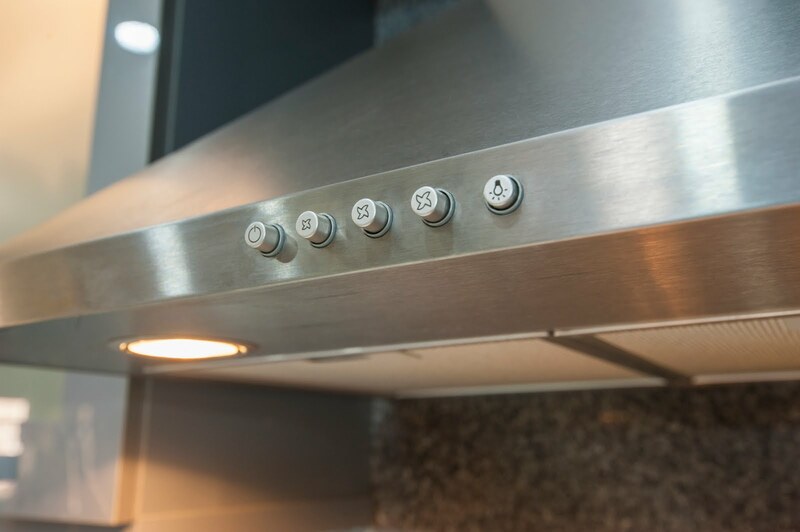 A stove hood extractor helps to remove steam, smoke and odors which can eliminate damage to the walls and ceiling. They also help by removing grease that rises with steam so you don’t have to spend hours scrubbing the area around your stove. At GEN3 Electric, we specialize in residential exhaust fan installation. Give us a call today to learn more about the benefits and be on your way to breathing fresher, cleaner air. Did you know there are about 4,000 sleep-related infant deaths in the United States each year? Sudden Infant Death Syndrome (SIDS) is a disease that affects hundreds of families across the country. But you can help keep your baby safe by simply turning on a ceiling fan in the room before they fall asleep. According to Archives of Pediatrics & Adolescent Medicine, babies who sleep in a room with a fan are 72% less likely to die from SIDS. Stale, stagnant air in a child’s room can increase the risk of SIDS. Simply keeping the air moving around in a bedroom seems to reduce the risk. 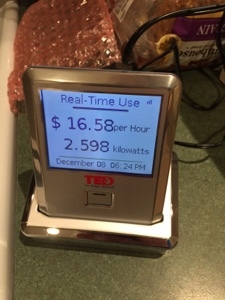 There are some situation where it is better for a Landlord or homeowner to meter their own electric. GEN3 can help with these products. 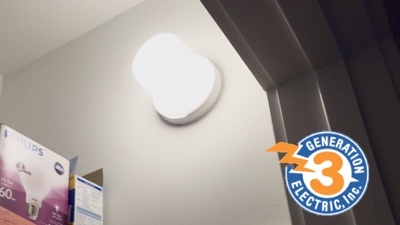 GEN3 Electric has been servicing the electrical needs of the Philadelphia metro area for three generations. That’s why you should give us a call at 215-512-4102 the next time your lights are flickering, and outlet won’t work or you need new wiring in your home! OMG!!! 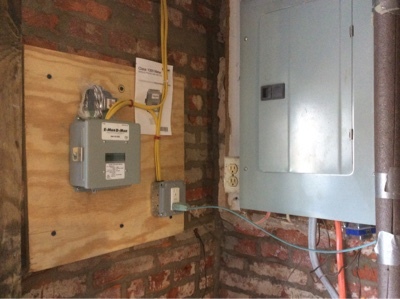 Now I see why the other "electrical" contractor was so inexpensive. 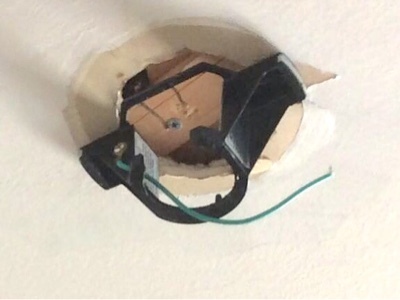 This is a ceiling fan bracelet screwed directly to the ceiling. (No box) Not only illegal but dangerous. Cheaper often equals wrong. A licensed electrical contractor would not do this! !